Flexometal, a privately-owned company in Mexico specializing in tube and profile production, aims to boost its production output for more competitive markets, such as mechanical and automotive tubing. As part of its strategic program, the company contracted Fives for a high-speed OTO cold saw cut-off unit for its tube mil line. Since OTO cut-off’s commissioning at the Guadalajara plant in January 2019, Flexometal has immediately achieved 30% productivity increase. The new unit also features important technical innovations which allow to stabilize precision length in 1.5mm as maximum tolerance, at any working speed. This cut-off belongs to single blade cold saw cut-off family with a range coverage from 6mm to 130mm. 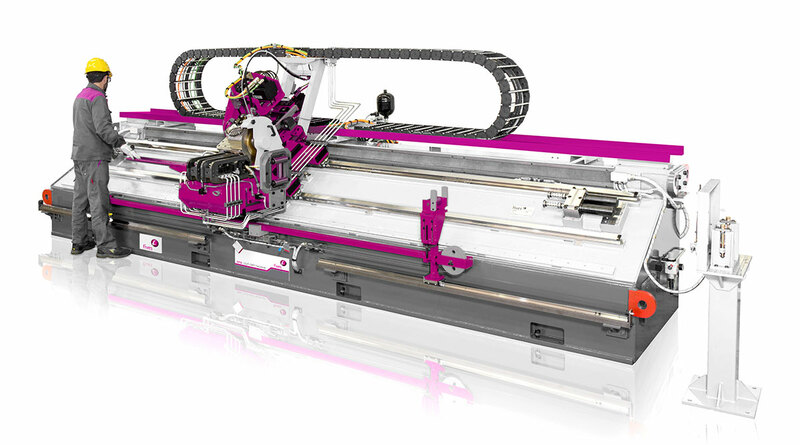 It’s equipped with extremely versatile and user-friendly software, enabling an operator to optimize speed and type of blade for any production size. Fives has been specializing in OTO flying cut-off units for over 25 years, offering a wide range of models, specially designed for inside scarfed tubes and special profiles, with special attention on high precision and perfect clean in-line cut without distortion.